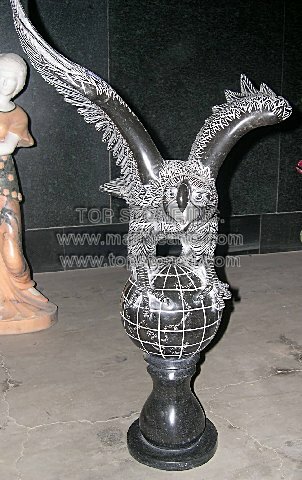 Description: TSAL028 - Fluttering Eagle Lawn Statue - Fluttering Eagle is one of the beloved marble eagle statues made of art marble and stone to ever exist. Its marble arte design and etched marble carvings, gives off the keenness of the marble artist who strove to create this statue marble to perfection. So if you want the best marble statues in your yard, buy marble statues online, preferably these marble statue arts, after comparing their marble statues prices.